– Know the athlete in total: cycling is somewhat unique among sports in that it requires proficiency in many different physical capacities, including but not limited to; speed, strength (or maximum force), aerobic and anaerobic capacity. Part of effective coaching is understanding what the specific requirements of your chosen event or events are. This is in context of the physiological capabilities that are natural strengths vs. those which need more development in training. Without this analysis, a rider will be ineffective at actualizing their potential. Being a good coach is not only about knowing a rider’s physiological strengths and limits. It is about understanding the role of training within the whole life balance. The athlete must also be tactically strong and have an excellent understanding of the sport. The athlete must be educated about nutrition, sleep and recovery methods, and emotional and spiritual balance. A rider can have a massive FTP but if they are eating garbage and poorly managing their emotions, it will rarely matter. 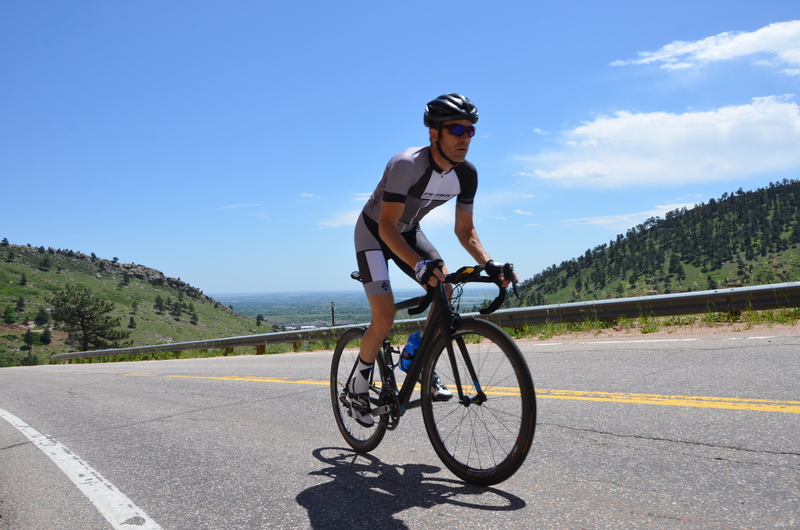 Coaching is about finding the biggest rate limiting factors to a rider’s performance, and frequently these factors have nothing to do with the bike directly. – Training in the context of a season (and, many seasons): load and intensity in training need to be challenging enough to stimulate change, but sustainable load does not mean repeated maximal efforts for months on end. Put another way: training hard does not mean training hard repetitively. Hard work has to be done to reach a high level, no doubt, but blunt force trauma will take a toll on the athlete. Mature athletes will undertake and endure very, very hard training days, but these must be carefully distributed in order to not deplete the racer before competition. Training is about the demands of the event in relation to the abilities of the athlete. For athletes who have a work/training/family balance, it is important to monitor load in the context of whole life stress. – Training must be quantified: in order to understand how the load we are applying is impacting the athlete, we have to track the load. In order to do this, we need accurate tools. This normally means that during cycling training, files should be generated which contain duration, power, speed and HR, and all the derivative metrics that follow. Without data, we don’t know what load was applied, which makes it difficult or impossible to understand how a particular response came about. – Follow an examined path: I feel that the most effective way to help my athletes reach their potential is to be receptive to new information, input, techniques, equipment and philosophies all the time. The sport of cycling, and athletics in general, are always changing and evolving, and to not change with the sport is to remain stagnant and not maximize potential. – Training programs are recommendations, not requirements: when I write a training plan, it is my expert opinion. This does not mean it is cast in stone. If an athlete wants to know more, understand the ‘why’, or present an alternate view point on how to go build a program, I am happy to discuss. – A coaching relationship is finite: cycling is a complex, ideological, intricate sport. Your coach paints a picture of this landscape through his or her perspective, which guides your training and other aspects of event preparation. This perspective will influence how you think in the sport in many ways. However, after a period of time, you will have learned most or all of what you will from a particular coach. Sometimes, an athlete will grow and learn more in their long term career if they change coaches every so often. The period of optimal productivity may be as few as one or many seasons, but it may take a long time to establish a rhythm between the coach and client. Thus, it is possible there will be a period of time where one or both of us feels that it is appropriate for you to move on to other coaching. This will be a normal and healthy part of the evolution of our relationship. If you are interested in working with me as a coach, please see my Coaching Programs page.